The entertainment channel has also added a new tagline, Rishta Wahi, Baat Nayi and released a promo video featuring actor Alia Bhatt. 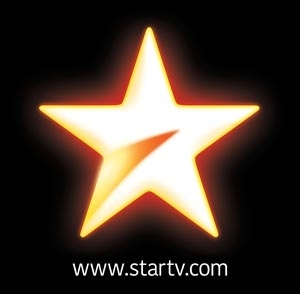 Star Plus, a leading Indian general entertainment channel, dons a fresh look and identity with a new logo and a variety of exciting new shows. In keeping with the same thought, Star Plus is revamping itself - presenting an array of new, diverse shows that reflect today's young contemporary India. The new logo is the trademark red crystal star with the swoosh, now in gold dust signifying positivity, freshness and celebration of relationships. In its new avatar, the channel will offer a wide variety of content across genres, with shows and characters that will evoke a range of emotions and will appeal to the family as a whole. Speaking about the transition, Sanjay Gupta, MD Star India says, "Star Plus has been setting new benchmarks in the industry for the past two decades. With this new Star Plus, we are once again creating a new world of entertainment for today's young and aspiring India - offering a diverse range of characters and unconventional stories that will spark a new conversation in society." In keeping with the same spirit, the channel has also roped in one of the most talented and dynamic youth icons of the country, Alia Bhatt, as the face of the brand campaign. Alia Bhatt says, "What convinced me to associate with Star Plus is the similarity the brand & I share. We both give a lot of importance to our families, friends and relationships etc. and understand their importance". She further added, "I am very excited about the new range of shows coming up on Star Plus with characters which are very real and relatable. Shows like Mariam Khan-Reporting Live, Kullfi Kumarr Bajewala and Krishna Chali London highlight relationships and emotions, while Sabse Smart Kaun is a unique concept which celebrates common people who use common sense. With these am sure Star Plus will continue to touch our lives in the same way like it has been doing for the last two decades." Sung by Sunidhi Chauhan and Chaandni RMW, the Star Plus song has been composed by Ram Sampath and written by national award winning lyricist Swanand Kirkire. The brand signature tune has been composed by A R Rahman, Oscar winner. "While composing the sound identity for Star Plus, I kept in mind the need to create something memorable, inventive and creating a sense of warmth. The tone had to be young, uplifting and joyous while capturing the beautiful journeys of the variety of characters showcased on Star Plus," Rahman says.